Penang and Putrajaya finished on 14th and 24th place respectively in the 17th Asian Cities Team Championship which conclude recently at Jakarta, Indonesia. 24 teams took part in this tournament and the Chinese team - Shi Jiazhuang emerged as the champion. See the final ranking here. Pavitra (left) vs FM Yee Soon Wei in round 2. 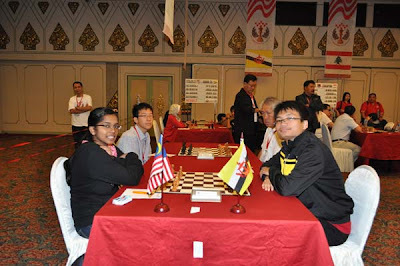 The Putrajaya's team was represented by the junior players and they finish in the last place. They are clearly no match against the Asian seniors teams. However, the top board of the Putrajaya's team - 15 years old girl - Pavitranayagi Jayamurthey nearly create an upset in round 2 against Brunei's no. 1 - FM Yee Soon Wei . Pavitra who recently won the under 16, National Age Group had Yee on the roped. Unfortunately, she misplayed the winning advantage and his opponent escaped with a perpetual at the end of the game. Players usually doesn't mind doubling the e-pawn in this kind of position because after 8. Bxe6 fxe6, black will have two benefit:- (1) he got the open f-file after castling and (2) he can push d5 support by the e6 pawn. 8. Bb3 Qd7 9. 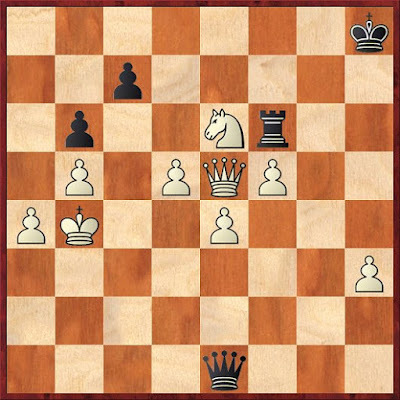 Be3 The same explanation after black's 7th move. 9...O-O 10. Nd5 Bxd5 11. Bxd5 Bxe3 12. fxe3 Nxd5 13. exd5 Ne7 14. c4 f5 Black's is playing on the kingside while white's on the queen side. 15. Qe1 Rf6 16. a4 Raf8 17. b3 17. b4 straight away is better. 17... g5 18. Nh2 White is too cautious. This move looks consistent but now the g5 square is vulnerable. 20. Raf2?! 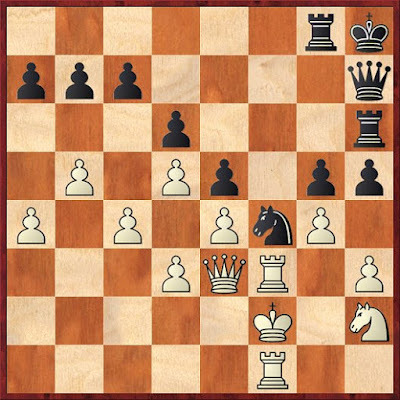 White should have grab the opportunity to conquer the g5 square with 20. Nf3! g4 21. Ng5 The knight is strong here and threatening Ne6 next. 20... f4 21. Qe2 again 21. Nf3! 24... Rg8 ? Why not 24... g4! threatening g3 next. 25. g3 Nf3+ 26. Nxf3 (26. Rxf3 gxf3 27. Rxf3 fxg3 28. Rxg3 Qh6) 26... fxg3! 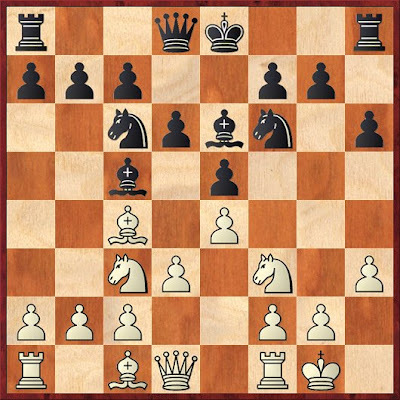 25. g3 Ng6 26. g4 f3 White sac his f4 pawn to acquire the f4 square for his knight. 27... Nf4 28. Qe3 Rh6 29. Kf2! 30... b6 31. 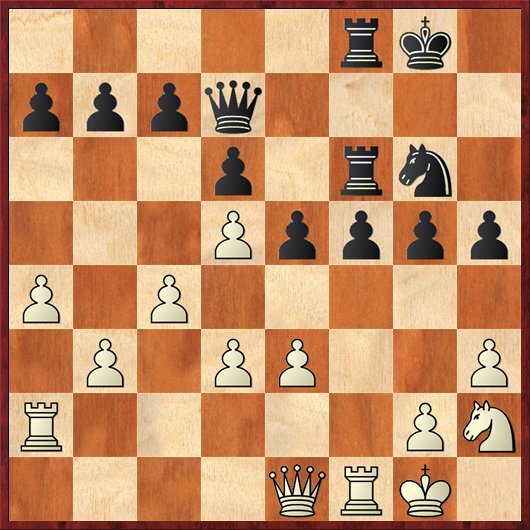 Kd2 Ra8 Black switch his strategy to open line on the queen side because his kingside breakthrough will not caused white's much problems anymore since white's king has move to the other side. 32. Kc3 a6 33.Kb4 White can try a tactical idea to move his knight to g4 square with 33. gxh5!? Rxh5 34. Ng4! and black should be careful for e.g. 34...Rxh3?? ( 34...Nxh3?? also lost to 35.Rf8+ Rxf8 36.Rxf8+ Kg7 37.Rc8! Kg6 38.bxa6 winning. ) 35. Rxh3 Qxh3 36. Qxh3+ Nxh3 37. Rh1 winning a piece. 33... Qd7? 34. d4 34. gxh5! again seems to be a strong move. 34... h4 35. dxe5 dxe5 black's e5 pawn is vulnerable. 36. Qc3 36. Kb3 Is safer. 36... Qe7+ 37. Kb3 axb5?! 37... Ne2 38. Qb4 Nd4+ 39. Kc3 Qxb4+ 40. Kxb4 Nxf3 41. Rxf3 Black's is ahead in material but white's control the f-file and after Rf5 and Nf3 black will have problems to defense both e5 and g5. However the game is far from over. Play might continued with 41...axb5 42. axb5 Ra1. 38. cxb5 Black's voluntarily open the c-file for white to breakthrough into black's camp. His c7 pawn is now vulnerable. 38...Ne2 39. Qc4 Nd4+ 40. Kb2 Nxf3 41. Rxf3 As i mentioned after black's 37th move , Black's is ahead in material but white's control the f-file and after Rf5 and Nf3 black will have problems to defense both e5 and g5. 41...Rf6 42. Kb3? The correct move is 42. Rf5 Rxf5 43. gxf5 Withe the idea of playing Ng4 next. 42... Raf8? 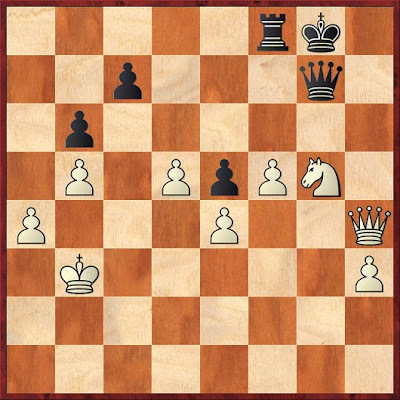 Black should take the initiate with 42... Rxf3+! 43. Nxf3 Rf8 44. Qc3 Kg8 45. Nxe5 Rf2 46. Ng6 Qg7! 43. Rf5 Qg7 ? 43... Rg8 is the correct move. 44. Qc3 Re8 45. Qf3 45. Qe3! Rg8 46. Nf3 hitting both e5 and g5. 45... Rxf5 46. gxf5 Kg8? Practically better is to sac the g-pawn with 46... g4 because black should not sit and wait white improve his position with Ng4 next. 47. Nxg4 Qg5 With some counter attacking chances. 48. Nf3 48. Ng4! and White can already relax. 48... Qh7 49. Qxg5+ Qg7 50. Qxh4 winning. White has completely turn the table. 50...Rf6 51. Ne6 Qh6 51... Qg1 does not solve anything 52. Qg4+ (52. Qxf6?! is a weaker possibility 52...Qe3+ 53. Kb2 Qd2+ black will have a perpetual.) 52... Qxg4 53. hxg4 Rf7 54. g5 winning. 52. Qg3+ Kh8 53. Qxe5 53. h4! And black's almost doesn't have any useful moves left. 53... Qe3+ 54. Kc2 54. Qc3! finishes off the opponent 54...Qxc3+ 55. Kxc3 Rf7 56. Kb4 With a winning endgame. 54... Qe2+ 55. Kb3? 55. Kc3! makes sure everything is clear 55...Qe3+ 56. Kc4 Qe2+ 57. Kb4 Qe1+ 58. Ka3 Qe3+ 59. Ka2 Qe2+ 60. Qb2 Qc4+ 61. Ka3 Qd3+ 62. Qb3 no more perpetual. 55... Qd1+ 56. Kb4 Qe1+?? This give back the winning advantage to white. . 56... Qb1+ will maintain the perpetual. 57.Kb3? White return the favor. 57. Ka3! and White has it in the bag for e.g. 57...Qe3+ 58. Ka2 Qe2+ 59. Qb2 Qc4+ 60. Ka3 Qd3+ 61. Qb3 winning.